“We need to get started fixing all this,” says Wisconsin progressive. 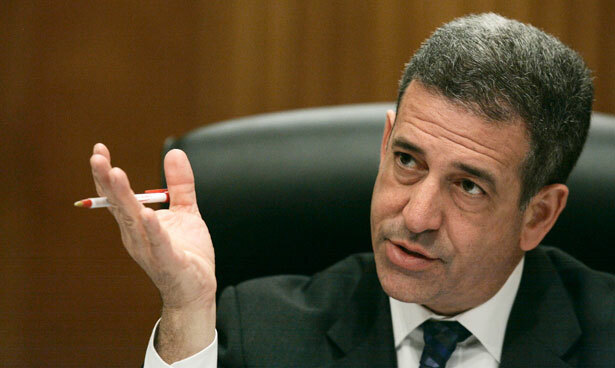 Russ Feingold is running again for the United States Senate. That’s got DC insiders excited, because the former senator is way ahead in the polls and his victory in 2016 could play a critical role in tipping control of the Senate backed to the Democrats. But Feingold has never been one for simple partisanship. His independence is legendary—as is his determination to stand on principle against not just Republicans and Wall Street but his own party and its leaders. To a greater extent than anyone who has served in the Senate in recent decades, Feingold has a reputation for getting ahead of major issues and getting them right. It is a reputation forged not by reading polls or accepting the compromise-prone Washington way of doing things but by rejecting a failed political “consensus” and instead choosing to champion civil liberties, peace, clean elections, and, above all, economic fairness. Russ Feingold fought for the better part of a decade (usually with Arizona Senator John McCain) to address the worst abuses of a campaign finance system that the Wisconsinite warned was becoming a vehicle for the “legalized bribery” of elected officials. Feingold was right to fight when he did, and most people who pay attention to politics are aware of his visionary stance. What fewer people are aware of is the fact that when he served in the Senate from 1993 to 2011 Feingold was equally visionary on the great economic issues of the our times. Indeed, long before there was an Elizabeth Warren in the Senate, there was a Russ Feingold—opposing bad trade deals, taking on the big banks and battling to forge an economy that worked for all Americans. Feingold says his focus in 2016 will be on the restoring the “economic well-being” of a state and a nation hard hit by the austerity agendas of Republicans in Washington—including Wisconsin’s Paul Ryan and the senator Feingold is challenging, Tea Party favorite Ron Johnson. Johnson, a millionaire who says he takes his cues from Ayn Rand novels, beat Feingold in the Republican-wave year of 2010 by a 52-47 margin. But the incumbent’s over-the-top partisanship and extreme stances (on economic and foreign-policy issues) has saddled him with dismal approval ratings. The latest Marquette Law School Poll gives Feingold a 54-38 lead over the incumbent. The same poll pointed to widespread frustration with the budget proposals of Johnson ally Scott Walker, and with the weakness of the Wisconsin economy. That Feingold is framing his campaign on an “economic well-being” agenda will come as no surprise. The last several years have seen a great turn in American politics toward an understanding of popular frustration with economic inequality and crony capitalism. It’s not just Elizabeth Warren and Bernie Sanders; even traditionally centrist Democrats such as Hillary Clinton and Republicans such as Jeb Bush are talking about restoring a measure of balance and fairness to the American economy. Feingold was in the Senate minority that voted against the North American Free Trade Agreement in 1993, and against the permanent normalization of trade relations with China in 2000. He warned of the threat that corporate-guided globalization would put the United States on a race to the bottom that would see factory closings, job losses, and an undermining of democracy. Feingold was one of just eight senators to vote against lifting Glass-Steagall Act protections against abusive banking practices. He warned about the threat posed to consumers and to the whole of the US economy by the growth of “too-big-to-fail” banks—and about the prospect that those banks would use their power to force taxpayers to pay for their failures. When the meltdown came in 2008, Feingold voted against the Wall Street bailout. And two years later, he opposed the watered-down Dodd-Frank “reforms” because they failed to address the fundamental flaws of a ‘regulatory’ system that let’s big banks call the shots. Feingold fought, throughout his Senate career, for a rethinking of tax and investment policies that would stop rewarding firms that shut factories, lay off workers and move jobs overseas, and instead use the power of tax policy and investment to encourage the creation of living-wage jobs in the United States. Instead of corporate-welfare giveaways, he proposed incentives for firms to expand employment and payrolls—especially in the hardest-pressed neighborhoods and most-neglected rural regions of the country. As the Economic Policy Institute observed several years ago, Feingold’s approach represented the smart alternative to austerity. Again and again as a US Senator, Feingold broke with Democratic and Republican presidents to stand for Main Street economics—fighting for jobs and job creation while challenging the excesses and abuses of behemoth banks and multinational corporations. He’s ready to take up the fight once more.